Mark Douglas Motorworks is a family owned and operated auto repair shop dedicated to providing top quality service and piece of mind for each and every customer. With over 15 years of experience and a reputation for offering exceptional work, Mark is recognized by his customers as an honest business owner and knowledgeable service provider. He has clients from Northern California to San Diego who trust his expertise exclusively. He is a factory trained and certified Master Technician who provides service for ALL MAKES AND MODELS. 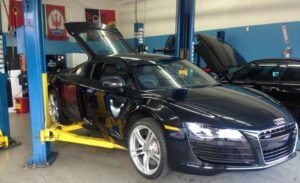 While originally focused on BMW, Maserati & Ferraris, he provides service for all imports including Audi, Mercedes Benz, Jaquar, Porsche, Range Rover as well as all American made models. MDM believes regular maintenance is important for keeping your car running great for many years to come. We perform factory recommended services using the highest quality parts. All services and repairs come with a 12 month/12,000 mile warranty.Taking the time to talk with owners is also something that Mark believes has made Mark Douglas Motorworks stand out. There will be a visual inspection, written estimate and he will keep you informed throughout your repair process. MDM prides itself on great customer service; therefore many have recommended him to their relatives and friends. Please look at our reviews on Mark Douglas Motorworks, Bimmershops.com and Yelp. MDM provides exceptional auto repair service and believes regular maintenance is important for keeping your car running for many years. We will perform factory recommended services using OEM parts on all repairs therefore giving you a 12 month or 12,000 mile warranty. Other services we provide include brake service, clutch repair, vehicle diagnostics and transmission work/service. 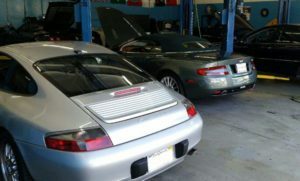 So if you own a Maserati, Ferrari, Porsche, BMW, Audi or any other vehicle, be sure to come in and get the best automotive service possible!MDM is located in Mission Viejo, CA, which neighbors other Orange County cities including Lake Forest, Costa Mesa, Irvine, Huntington Beach, Laguna Hills and Laguna Nigel.Our customers are very important to us and have recommended many friends and relatives. We will give you a visual inspection, written estimate and keep you informed throughout your repair process. Update: Mark Douglas Motorworks provides diagnostic/programming services on Maserati Ghibli and Quattroporte models as well as newer Ferrari models. Read More. We’ve also recently begun performing vehicle diagnostics on newer Aston Martin models. Mark got his start in 1998 working as a diesel technician. Seeking to broaden his technical skills he attended Universal Technical Institute. He then enrolled in the BMW STEP program.After graduation he worked for Sterling BMW in Newport Beach, California and earned his title as Master Technician.In June of 2006 Mark also started working for Steve Millen Motorsports where he was a technician as well as a fabricator. They completely disassembled and race-prepped a 2005 Ford GT and 2009 Nissan GTR. He traveled with the Stillen crew as a rally technician for the 2006, 2008, 2010 and 2011 Targa New Zealand Race and the 2009 Targa Newfoundland race.After 7 years with BMW, Mark wished to expand his knowledge of exotic cars and went to work for Ferrari & Maserati of Orange County. With great pride and confidence in his work, and the realization that working on cars is not just a hobby or job, but his life’s passion, Mark decided to open Mark Douglas Motorworks in Mission Viejo, California.Mark Douglas Motorworks received 5 stars out of 5 based on 32 reviews on Yelp.